I should be so lucky to get to do some of the things I do with my son. I remember when he was about 7 years old he made everyone laugh when he said, "Women... can't live with'em.... Can't shoot'em." Well, I have to admit there have been days that I felt the same about him but when all is said and done, I must admit there are moments I'm glad they hid my gun. It's only Friday evening and already it's turning into a long weekend. Will and I have been spending the day between the tracks and picking up engine and car parts out of town and then we will be racing at Infineon Raceway all weekend to boot with team mate Jon Emerson. After all one can never get enough seat time behind the wheel. I had time to click a few pics of the assembled engine block while at the engine builders before picking up some miscellaneous parts and the Lexan rear window that was unique to only GT350 R model Shelbys. As you can see from the photo above Lucky is anxiously awaiting his new power plant. What's that old saying about "Birds of feather"? 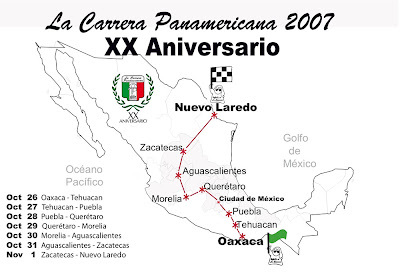 It seems that already there are drivers entered from all over the world which should make the running of the 20th anniversary La Carrera Panamericana all the more colorful and fun. Many of my fondest memories are from years of competition on the U.S. Olympic Shooting Team. Many of the major events we all gathered at found us as we were mortal enimies while competeing but when all was said and done most of us can look back and realize some of the most memorable friendships that have lasted all these years. I can only hope that will be the outcome of this fine adventure. 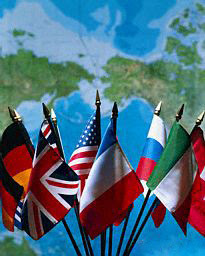 Here is a list of a countries who have drivers in this years event so far. Will Faules, team member and national champion and oh yeah, my son, is one of those kids who likes to try everything out even before it's ready. How can he try out a car that isn't even built yet you ask? Well, this kid has his ways evil as they may be. Several years ago I was scheduled to race at Sears Point (Infineon Raceway) and I was in the lead for the season's points championships and I needed to win that weekend. They had just completed what is now known as "The Chute" which was installed so the NASCAR guys could by-pass a few turns. The corners they by-passed are some of the favorites of us local drivers but to my surprise as soon as I got to the paddock I got word we would be the very first to run "The Chute" in an effort to put down some much needed rubber for the upcoming NASCAR race. Just as I found out about these changes my phone rang and it was my then 12 year old son and so I began telling him about my displeasure with not knowing the correct line for the new piece of track and the fact that I needed the wins this weekend. He began telling me "Dad, relax. It's no problem. I'll describe the line to you." Still upset I interrupted him and said, "Will, how in the hell could you possibly tell ME the line when you haven't even seen this piece of track?" He said, "Dad, trust me I know what it looks like." Again I cut him off, "Dammit Will, You must not understand. I'm at Sears Point and they have changed the track!" And again he says, "Dad, just listen for a second and I'll explain. I have been running "The Chute" for the last few weeks on my Play Station and it's set up exactly like the track is including The Chute. Just trust me. Now here's what you do. As you come into turn Four just stay to the left. Then as you begin to enter......" As soon as I got dressed an out on the track to get in some practice I came into turn Four and it was if I had been there before since Will's description was exactly the way he had described and the line he gave me worked perfectly and I went on to win the season's point championships to boot. It's amazing how real today's simulators are and how much they can help train a driver as is he or she was getting real seat time at the track. So I have no doubt my son may know more about my car than I do before I ever get it finished. Hell, for all I know my daughter, my wife and possibly my grandson may know more than I do. Anyone who has ever prepared a car for a race understands what it's like to feel like he's falling behind schedule and the pressure that accompanies it. Well, I am no exception and there have been days recently that found me with just such a feeling and it's a bad feeling almost one that gives you a false sense of failure. But today things began to change as I was able to get some items checked off the things to do list. The first thing I did was install the door handles and then I finished drilling the holes for the original Shelby trunk pin. Since the plate will need to be removed prior to painting the racing strips I left a few of the rivets out which will be installed later. Then I installed the water/oil catch can which is ready to be plumbed once the engine is installed. Last but not least I installed Lucky's GT350 badge and then took time to stand back and feel some satisfaction knowing that today I made some headway. One last thing was to cross off items that were finished and then update the list of things to do which gave me a sense of accomplishment and the feeling that I was in fact making some head way. Tomorrow I head up to the engine builders to drop off some goodies and then head over to Delta Bay Mustang to pick up the new rear window. This morning Nitrous the wonder dog and I took a ride up the Sacramento River to my engine builders facility to drop off some parts and check on the engine One of the goodies I dropped off was the MSD Dual Pickup Distributor. Once again it's all part of "What if" racing and ignition systems are not at all unknown for having their share of problems. With two magnetic pickups, Lucky will have a complete redundant ignition system which can be activated at the flip of a switch should I ever need it. After hearing how pleased my engine builder was with how things were going on my engine I decided to head over to DELTA BAY MUSTANG to visit Tom and Zee but that's when I began to have a mood swing. The very first item I bought for this car was a Lincoln Versailles rear end. After researching this application-swap for months and speaking to "the pros" I was convinced it was the way to go but after sitting down and having a long heart to heart with Tom who has been supplying some of the best set up cars on the west coast for some 25 years I began to feel sick to my stomach. Man, I hate feeling I did something wrong or didn't research something properly but the thought of not having the maximum stopping power available while driving along cliffs or while doing 175 miles per hour bothers me even more. After taking Nitrous for a walk I finally told Tom to go ahead and start setting me up with a new 9 inch rear end housing and positraction differential along with new axles, bearings including rear calipers, rotors and all. Sometimes making a change after having been so convinced that I had it right in the first place is hard but having spent the afternoon thinking about all the trade offs I am positive I have made the right decision and furthermore the set up Tom is setting up for me is exactly the same as used by Carroll Shelby and is still being used in many winning vintage class cars to this day. This will result in a major weight reduction as well. To make me feel a little better before I left DELTA BAY MUSTANG I picked up some more goodies like a set of TALBOT RACING MIRROR's and a 17 inch convex interior rear view mirror so that Jon and I can be looking our best. I gotta tell ya, Tom at Delta Bay Mustang is one hell of a great guy. He NEVER tries to sell anything that he doesn't honestly feel best suits a customer's needs. While I was in his place this morning I overheard a customer asking him to sell him whatever he needed to turn his 6 cylinder car into a V-8 car. Tom didn't beat around the bush and told him right up front that he was better off buying a different car since it would require so much time and expense. The customer still insisted he wanted to proceed and that he had both the time and money but again Tom politely told him what he was in for and even went as far as to adding some some rough numbers which in most cases would have driven off even the most willing customer. But when all was said and done the customer still wanted to proceed. Make no mistakes about it, There is no better place to buy Mustang parts than from Tom at Delta Bay Mustang and believe me I have bought from the best of them. One more thing about Tom... There are times when customer like myself need some rinky dinky little something to help us get a job done to our liking and while most people on Tom's side of the counter will say, "Nope, don't have it." Tom just asks, "When do you need it? It may take me a day or two to find." The next thing I know the UPS man is saying, "Sign here." Today was a great day for Lucky as he began to show some promise as he began to look more like a GT350 R model than some old has been wreck. This is where pride begins to set in and a good job begins to show thru. This morning I had a specific plan of attack as to exactly what I wanted to do and the exact order in which to do it. But as we all know even the best made plans can sometimes go to hell in a hand basket. The first thing I wanted to do was install the doors so that installing the fenders would be easier and then the headlight buckets and so on but as soon as I went looking for the special door brackets and bolts it was as if they had fallen off the face of the earth. I knew I could make it work another way but that's not the way I do things. It was either going to be perfect or not at all. When all was said and done it was noon before I had found someone who had the exact parts I wanted so there was four hours shot to hell. With the door fasteners in hand finally things began to go as planned which led to the installation of the doors, fenders, headlight buckets, front R-Model front end apron. The fenders and apron had to be installed perfectly so that the gaps for the doors as well as the hood were perfect. All in all I am very pleased to see Lucky looking more like a race car that will be able to perform like the vision I had when this project all began. There are only 51 days before the day I hoped to be ready to test at Thunderhill and there is still LOTS to be done. For many of us it was our very own fathers whom instilled our love and excitement of all things automotive within us. Today is the perfect time to reflect on those memories of rides with the ole man, those times we watched as he "tinkered" under the hood and we thought they knew everything. That's why we asked, "What are you doing dad?" and they responded, "It's to make little boys like you ask questions." Then later in years it was them that watched over our shoulders and asked, "What are you doing?" I'm not sure if both of us were really working on the car or simply showing off but I do know there is nothing I wouldn't give up to hear my father's voice again saying, "Hop in and let's see if she starts." Can you say, Big Toolman grunt? Oh Ohh Ohhhh! When I originally started planning the build for this race I was considering utilizing a late model Tremec 5 speed transmission and since the rules specifically say we can only use a four speed transmission I was simply going to remove the fifth gear. But after talking it over with Gerie Bledso, the LCP North American director I decided to nix that thought. It was then that I decided to drag out one of the transmissions I had been saving for a special occasion. While this specific transmission is a Ford Toploader, it's not just any old toploader. This transmission is an original NASCAR, close-ratio toploader used in the original GT350 R model Shelbys. 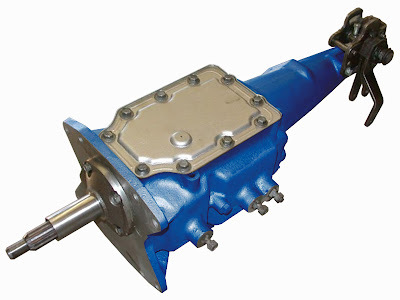 The Ford Toploader Transmission was introduced in 1964 to replace the Borg Warner T-10. This is the super-tough transmission built by Ford Engineers to stand-up to just about anything demanded from it. The toploader was used in production from 1964 to 1973 in almost every model Ford car. I knew this transmission to be a good one but not leaving anything to chance I decided to open it up to have a look. Everything looked great but since everything else on the car is perfect I asked myself why take any chances? It was then that I called my old friend Dan Williams, the world's leading guru of the toploaders. Dan is the guy who builds and sells all the toploader parts to the exact NASCAR guys you watch each weekend on TV. I figure if the likes of Jeff Gordon and Dale Earnhardt, Jr. can't break them even in a Chevy then I sure as heck don't need anything better. After a nice talk Dan set me up with a road race version of his master rebuild kit which also includes a set of special road race bronze rings, the finest ever produced and they will be here next week. Dan is also sending along a nice little present to compliment the transmission. Now it's beginning to sound like I am trying to decide which wine goes well with lobster doesn't it? Along with the other goodies Dan is sending is a HURST Competition Plus "road race" shifter but once again, not just any shifter. This is the exact shifter with reverse lockout used on all of today's leading race-cars including NASCAR. After the engine is installed the transmission will be matted with the LAKEWOOD SCATTERSHIELD for some added protection to protect us of any flywheel/clutch issues ands also a common safety item found on the GT350 R models. It's official... Lucky has been given car number 367 as his car number to run in the 20th anniversary running of the La Carrera Panamericana. Typically here in the U.S. cars with three digits signifies the car is in a school group and for years it has been a tradition that all Team California's Best cars are badged with number 44. However, for many years it has been a tradition that cars running in the La Carrera Panamericana are given certain three digit numbers which tell you what class the car is in so with pride and tradition Lucky and Team California's Best will wear 367. Today I finished installing a few items. One was the bezel that houses the fuel gauge for the FUEL SAFE RACING CELL and the switch for the multiple fuel pumps as well as some additional wiring on the emergency shutoff switch. One of the main reasons the La Carrera Panamericana was closed down from 1955 until 1987 was a direct result of the major loss of life in the 1955 Le Mans. It was a 300 SLR Mercedes driven by Pierre Levegh that was built specifically for the 1955 Mille Miglia which they won that year and the Le Mans 24 hours endurance race that resulted in such a large number of fatalities which crashed into the audience. That single incident had an untold effect not only on the Le Mans and La Carrera Panamericana but also auto racing around the world. 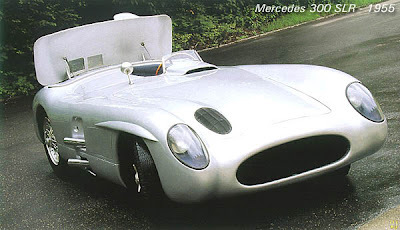 That specific 300SLR (Super Light Racecar) had a device called the air-brake. It was a device that helped the driver with hard braking by raising a large body panel behind the driver and in turn also helped to reduce brake wear a major concern for all endurance racing. It had the same effect as a large parachute and it closed when the driver released the brake pedal which allowed the driver to quickly accelerate back to speed. Mercedes not only dropped out of the race but in fact stopped racing for many years. While it's obvious that much has happened with respect to spectator safety, crowd control and equally as important many technological advances in race car safety I still find some irony in the fact that the Swiss considered bringing back auto racing after Mercedes has recently unveiled the air brake again in the SLR Mclaren. Equally as ironic is the pure and simple truth that the fatalities of this and other races are responsible for implementing safety barriers, equipment, driver safety devices and so much more which make it possible for hundreds of thousands of automotive race fans around the world to enjoy complete safety while attending such events. For more information as to what caused the Swiss to undo it's ban check out the story over at our friends THE GARAGE. For a more detailed breakdown of exactly what transpired in causing that infamous crash go to Mike Hawthorn - A Tribute. Another famous crash that resulted in ending the famous Mille Miglia resulted with Enzo Ferrari saying it best... "When I talk about the Mille Miglia, I feel quite moved, for it played such a big part in my life. I knew it as a driver, a team director and a constructor ... and was always an admirer of its champions. In fact, the Mille Miglia not only provided enormous technical advances during its three decades, it really did breed champions." This same compassionate quote could easily have been said by any team owner of the La Carrera Panamericana. The dash is finally complete and all the testing and checking is complete. All we need now is verify they all read accurately after the engine is installed and running. The dash bezel is an authentic Shelby part and all the gauges are AUTO METER SPORT-COMP and they are the best instrumentation available. Next week I will install the fuel gauge in a seperate dash bezel and then wire it up to the FUEL SAFE racing cell. Today I began hooking up various wiring behind the dash in preperation for installing the gauges so that finaly I was able to mount the dash bezel. Hey, I even got the turn signals, ignition on and high-beam lights working. YEAH! As crazy as it sounds it was eaiser said than done. As soon as everything was in place to test the turn signals and should have been perfect.... Well, up poped the first gremlin. As it turned out one of the brand new tail light assemblies had a bad socket which caused a feedback short which in turn was a bear to figure out. After all, you wouldn't expect any brand new part to be defective. But this is just one more reason to not be dilly-dalling around because you never know what might pop up next. After that I hooked up and tested the master circuts as well as the emergency shut off switch all before installing the wiring before the gauges get installed. Speaking of getting everything right... In the afternoon one of my friends stopped by with one of her old school Mini Coopers with right hand steering. My buddy/navigator Jon just happen to be in the area so we obsconed with her car keys and took it for a spin. Jon owns a late model Mini but the nostalgia of an old school Mini left us both with an afliction. This may be the only time Jon will get to have control of the car while sitting on the right side of the car. At one point he said, "I don't think we will need brakes on this next turn." Now I know how he's going to feel when we get to Mexico. Where in the heck do all these wires go! Today I wired up both the master ignition on/off and the start/push button switches. Then I made some tweaks to the brake pedal assembly and installed the driver's side fresh air vent and cable. You never know that may just come in handy on a hot day in some place like.... Oh let's say Mexico for example. By getting these items finished it will make things a lot easier to deal with once I begin to install the gauges. At the same time I was reading and following the wire schematic to find the best method to install each gauge some of which I will utilize the factory wiring harness while others will require separate wiring. It's interesting to note that while there are many ways to hook up various wires thoughtful planning can result in the optimum performance and reliability factors. Funny but today was one of those days when I didn't really get all that much finished but I was so pleased with what I did. The funeral service for Bill France Jr., the visionary leader of the NASCAR and International Speedway Corp. for more than three decades, has been scheduled for Thursday at the Mary McLeod Bethune Performing Arts Center, at Bethune-Cookman College in Daytona Beach. France died Monday afternoon at his home in Daytona Beach. He was 74. In lieu of flowers, the France family requests donations be made to the NASCAR Foundation; the Halifax Medical Center Foundation Inc./Betty Jane France Pediatric Center (also known as the "Speediatrics" children's unit); or another NASCAR-related charity of choice. Team California's Best would like to express our sincere condolences to the France family. Not only will we miss Bill but in fact there were plans to talk to him after this years 20th anniversary running of the La Carrera Panamericana. Since Bill France drove in the La Carrera in 1950 and this being the 20th anniversary of the rebirth of the race we were all looking forward to simply saying we had ran in a race that Bill France among others had competed in. The North Americans who showed up in Juarez that year were a mixture of professional racers, amateurs, adventurers and it was Bill France founder of NASCAR who was reputedly the leader of the "good old boys" from the South. Also in attendance was Herschel McGriff from Oregon and a large contingent from California. Respectfully, instead of taking part in sorrow for Bill's death we will celebrate by taking his memories with us. Whenever possible we will look out across the views that the Pan American Highway offer and remember Bill was there long before us and what a blast he must have had. What an honor it will be to compete on the same roads that took Bill France and so many other champions into the history books. For more than a quarter of a century, it was the guidance of William C. France, known to the racing world as Bill France, Jr., that thrust NASCAR to the top of the professional sporting world. After taking the reins from his father, family patriarch Bill France, Sr., in January of 1972, Bill Jr. used his business acumen to take the family business to new heights. Other than the founding of NASCAR itself, Bill Jr.’s appointment to leadership is probably the most significant event in the history of the sanctioning body. As rule-maker, promoter, ambassador, and salesman, France has set the standard by which all other forms of motorsports are measured. He has taken it from a regional sport to a national sport, and nurtured its growing popularity on television, culminating in a record-setting $2.4 billion broadcast contract. He handed the presidency of NASCAR to Mike Helton in 2000, and was succeeded by his son, Brian, as the CEO and Chairman of the Board in 2003. 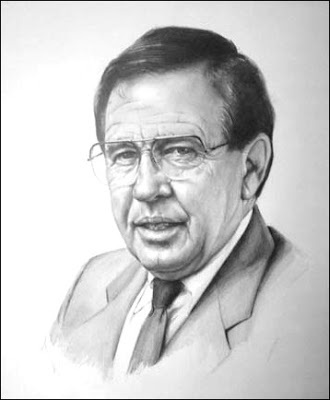 As of his induction in 2004, Bill France, Jr. and his brother Jim were co-vice chairmen of a six-member Board of Directors that also included Brian, Lesa Kennedy, Helton and George Pyne. At long last I have all the gauges installed into the gauge bezel. How many times have I seen cars either die along the road or on the track or literally go up in flames because those who call themselves mechanics didn't take the time to do a proper dash install. 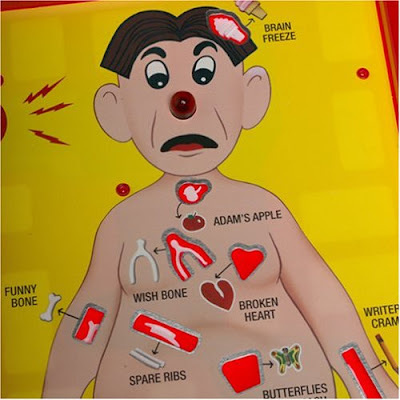 Now is the time to make sure wires are installed and soldered properly instead of sloppy electrical taping jobs or improper crimps that would have been better off with Scotch tape or cake frosting. After all the wires are finished behind the dash I will finalize the bezel install into the dash. On another note, California's Best Racing Team would like to wish Rachel Larratt and her team all the best and let them know we are glad they are all safe. For those who haven't heard, after leaving Thunderhill Raceway after they finished running in a three hour endurance race somehow there tow vehicle and trailer (with race car inside) had an off-road excursion into the median. The last I heard they were still waiting to see how much damage there is. I don't have the full report yet as to what happened but my son and I were talking about how many times we have almost fallen to sleep after running an endurance race at Thunderhill. It's time to whip it out... Map that is. Gerie Bledso does a superb job keeping everyone informed as to any and all information, rule changes, and anything you could possibly want to know regarding the La Carrera Panamericana. His monthly "Carrera Driver" newsletter keeps us all up to date and anyone who has ever had such duties can tell you it's no easy task and it's a no glory position. So speaking for California's Best Race Team I would just like to tell Gerie how much we appreciate all that you do. This evening I just received the latest edition of the Carrera Driver newsletter and besides some rule updates and changes and other information he started off by telling us about the 20th anniversary running of the La Carrera Panamericana. Before hand allow me to say, I can't begin to tell you how exciting this whole process of being officially entered in what is historically one of the most famous races in the world let alone the added excitement of it being the 20th anniversary celebration. I keep telling myself, this is the sort of race that legends are made out of and we are part of it. REGISTRATION CLOSED -- BIGGEST YEAR SO FAR! Eduardo Leon the President of La Carrera Panamericana has finally ordered those dreaded words -- “no mas, no more gingos!” -- so registration has been closed. If you are not among the fifty-seven who have paid a least a deposit by now, or solemnly swore that “the check’s in the mail,” I would not buy an old car with the firm intention of racing this October. The following route has finally been announced on the official web site. It should be cooler and much less humid in Oaxaca than Veracruz, given the extra 5000 feet in altitude. CALIFORNIA'S BEST Is proud to announce the addition of Mark Welch as a team/crew member. There are many important qualifications to take into consideration when embarking on an out of town race especially this one for obvious reasons. At the same time while reviewing all of those reasons I also had to take into consideration the great friendship we all share with Mark as well as respect for what has been an awesome competitor. Mark and I have battled on the tracks over the years and yet we always had time to laugh with and at each other both on and off the track. One of my fondest memories was the year Mark and I were the first two Father and Son teams to race in the famous 25 Hours of Thunderhill and watch our sons who where both rookies. Not only did we share side by side pits but we helped each other out regardless of what was going on. estate developer. After a few years off to start a family he began running the NASA Pro-7 Series in northern California. Since then Mark won many races, the 1996 enduro series, in class, the 2000 enduro series, in class, and last December, the 2006 USAF 25 hour enduro, 10th overall, 1st in class. He also serves as a NASA instructor when he's not running his new chassis dyno service located in Virgina next to VIRginia International Raceway. Mark said, "I'm very much looking forward to helping Gary Faules and CALIFORNIA'S BEST with this upcoming Mexico race and all the tradition it brings." The feelings are mutual and not only is Mark a fantastic man with a wrench but in fact his "MacGyver" type skills will be an asset should they be required not to mention the fact that since he grew up in South America his Spanish is more than welcome. Mark, how do you say, "Senior, Water for my horses and whisky for my men?" When spending so much time building a favorite race car it's only reasonable to get an urge to get out on the track. After all it can't be all work and no play. Besides I find getting to the track helps me to relax and getting to hang out with a great bunch of friends is one hell of a way to spend the day. So today I went to Thunderhill to eat some good cheeseburgers, get some sun, shoot the bull with some friends and get in some laps is a few different sets of wheels. In my opinion the weather at Thunderhill is always excellent but then again I love it whether it's pouring rain with 50 mile per hour wind gust or 115 in the shade and I've done all of the above at Thunderhill. Part of what made today fun was getting some one on one time with Geri Bledso the North American director of the La Carrera Panamericana and Rachel Larratt as well as Rachel's new team mates. Gerie is a real hoot to sit and bench race with and believe me he's got some awesome stories to share. But more importantly to me is learning that Gerie is a "racer's racer". He knows what he expects of a car as well as himself and has been there done that. He's not the kind of guy who feels a need to impress people but at the same time he can put his foot where his mouth is and fun to be around and watch on the track. Actually I got to spend more time with Rachel's team mates than Rachel because Rachael did what women do best.... She went shopping! LOL. Don't beat me up Rachel, it's all in fun. OK, in all fairness I guess I better set the record straight. Rachel wasn't feeling great so in order to feel better she did what most women and even my wife does... She went shopping. I hope she feels better real soon. It was fun to spend time with Gerie and equally as fun I had a great time with Rachael and her guys albeit too short. I am looking forward to racing with them in this years La Carrera Panamericana. In the meantime I did have some fun going out with Rachel's drivers for a couple of sessions and was very pleased to see they are fast to pick up what they are told and Rachel's car is set up extremely well. Thanks to Rachel and Steve and ?. (God I'm so bad with names so I'll just call him "Fast.") They are running in this years NASA's Endurance series and will be running the 3 hour endurance race tomorrow and I feel confident they should do well even though they are new to Thunderhill. That's one of the nice things about endurance races... You get LOTS of seat time to learn the track. As a matter of fact some drivers get more seat time in one endurance race than they get in a whole season of sprint racing. Having won more endurance races and championships at Thunderhill Raceway than any other team I have reason to have a special bond with this track. Today was also the debut of the new SIRIS MEDIA Spec Miata owned by Jon Emerson (my navigator) and driven by Will Faules (our team mate) built with the help of IMPACT ENGINEERING. NOBODY builds a better roll cage than IMPACT ENGINEERING. It is one beautiful Spec Miata and it really had the Mazda guys talking today. Today was supposed to be just a simple shake down with it's junkyard special since the new engine is not ready yet but Will finished on the podium for the first race of the season. Just wait until they see what he can do with the new race engine. That's my boy! In the meantime Jon was at the 2007 Wine Country Classic vintage races with a media pass so here are some GREAT RACE CARS FROM YESTERYEAR. I had time to get in some seat time in some other rides and hang out with friends but as much as I wanted to stay and run the race with my son tomorrow I had to get back so I could spend Sunday at my grandson's first big birthday bash. Wouldn't miss that for the world. A place to stash the beer. At long last I finally got the almost impossible to find fastback trunk hinges bolted on as well as the trunk deck. I will be gone racing at Thunderhill for the weekend but next week I will get the Shelby trunk pin installed. At least for now we have a place to haul the beer. Can you imagine opening a beer that has been in the trunk of a racecar that just drove a few hundred miles thru the windy mountain roads under the hot Mexican sun?